Anyone who is part of the cryptocurrency world is familiar with Binance, one of the most popular cryptocurrency trading platforms. The BNB token, also known as the Binance Coin, is the platform’s cryptocurrency. BNB was a key part of providing funding for Binance via the ICO, and it now serves numerous important functions. The BNB token keeps to the ERC20 token standard and runs on the Ethereum blockchain natively. What Should You Know About Binance? 1 What Should You Know About Binance? 3 What Is the BNB Burning? 4 How Does BNB Burning Affect Price? 5 What Functions Does BNB Serve? 6 What Kind of Discount Do You Get for Paying Binance Fees with BNB? 7 What Is Binance Chain, and What Role Does BNB Play in It? Before you take a closer look at the BNB token, you need to have at least a basic understanding of the Binance platform. If you do not, you should know that this is among the most popular of all cryptocurrency exchanges. The exchange is relatively young, launching in the middle of 2017, but it already has a strongly positive reputation and is extremely popular. At the time of writing, the 24-hour volume for BNB was 1,472,557.47 and that of BTC was 176,076.88. Binance is capable of processing as many as 1.4 million orders per second, keeping up with a growing demand, and has support for nearly all devices, including a web platform. This high processing rate is due to Binance’s proprietary trading engine that resolves the problems of other exchanges not being able to keep up with demand. Binance also stands out from competition with its high liquidity and low trading fees, even without taking the discount for using BNB into account. At the time of writing, the Binance Coin was valued at $14.010. Considering Binance lists its issue price at $0.1553, this represents an increase in value of 8,921.25 percent. Binance issuance occurred on July 8, 2017, so this dramatic rise has occurred in less than a year. Also at the time of writing, the market cap was $1,597,718,473 with a maximum supply of 194,972,068 BNB and a circulating supply of 114,041,290 BNB. When established, the total supply was 200 million BNB tokens. What Is the BNB Burning? One of the key parts of the BNB token is the plans for buying back the tokens and burning them. This process is outlined in the Binance white paper. For those who just want a quick summary, Binance will use 20 percent of the profits from every quarter to buy back and then burn BNB. It will continue this process until the supply of BNB is 50 percent of the original amount, with 100 million BNB remaining. Every buyback transaction conducted by Binance to burn BNB will be announced via the blockchain for transparency. The most recent BNB burning occurred on April 15, 2018, with the burning of 2,220,314 BNB. The next one will likely be about the same time in July. The idea behind burning Binance Coins is very strategic. By reducing the number of tokens in circulation, the value of the existing ones goes up, assuming that demand remains the same. Their value can increase to an even greater degree as the demand increases, which is likely to happen due to the popularity and growth of Binance. How Does BNB Burning Affect Price? The theory behind token burning is one thing, but most people want proof that this works. If you examine a BNB price chart with careful attention to the times immediately before, during, and after a burn, you can see the positive effects, at least to some extent. The price tends to increase dramatically right before the burn and then drop down a bit right after the burn. This post-burn drop, however, is still well above the value of the token before the pre-burn rally. What Functions Does BNB Serve? The most important function of BNB is being the underlying gas powering the overall ecosystem. Users of the exchange platform can pay trading fees using BNB, and during the first year of implementation, this even comes with a 50 percent discount on trades. The Binance Coin has additional functionality in other ecosystems, as well, thanks to partnerships. Monaco, for example, supports the BNB token on its platform, making it possible to use the Binance Coin with the Monaco mobile app or Monaco Visa Card. Additionally, the Uplive platform has support for BNB as a way to purchase virtual gifts. What Kind of Discount Do You Get for Paying Binance Fees with BNB? As with any other cryptocurrency trading platform, Binance makes some of its profit from collecting fees. You can use BNB tokens to pay any of these fees, including listing and exchange fees. During the first year of BNB deployment, paying the fees with BNB gives you a 50 percent discount, as mentioned above. Although the discount decreases, it remains in place for multiple years, providing continued savings via BNB token ownership. In the second year, the discount is halved to 25 percent, halving again to 12.5 percent in the third year and dropping to 6.75 percent in the fourth year. Beginning in the fifth year, there is no longer a discount, but the convenience of paying fees with BNB remains. To get the discount, all you have to do is keep BNB tokens in your exchange wallet, and the discount will be applied automatically with the appropriate number of tokens deducted. There is also the option of turning off the feature that automatically uses your BNB balance to pay for fees if you prefer to keep your Binance Coins. The BNB Coin is an ERC-20 token, which means you can also withdraw it from the exchange and store it on your Ethereum wallet or Hardware wallet such as Trezor or Ledger. What Is Binance Chain, and What Role Does BNB Play in It? Binance has plans to develop a new exchange that is decentralized, known as Binance Chain. This exchange will use the BNB token to power it, which should increase the coin’s demand and, therefore, value. Binance Chain will be a public blockchain that focuses on trading and transferring blockchain assets. 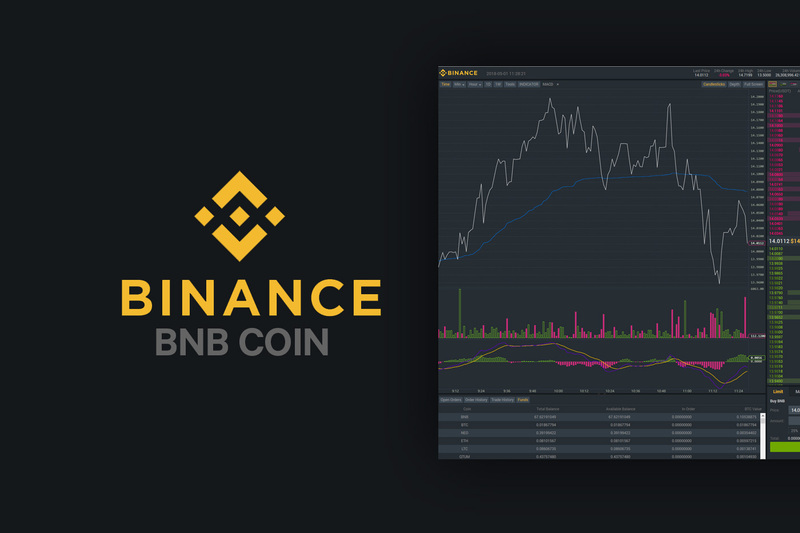 BNB, or the Binance Coin, is the token of the popular Binance cryptocurrency exchange. Its main function is for paying fees, and using it in this way results in a discount on exchange fees. The BNB token also serves other purposes and will be crucial to the planned Binance Chain launch. Binance has certainly taken cryptocurrency by storm! I’m always looking for the next latest and greatest cryptocurrency to invest in, and I love to dive on it when it’s fresh on the market. I’m looking forward to adding my Binance currency investment to my finance apps, just so I can watch my money grow. Definitely looking forward to the additional discounts just from using BNB!